London-based 4-piece Pumarosa have premiered the dramatic music video for their single Lion’s Den, the latest track to be lifted from their critically-acclaimed debut album The Witch. Watch the 60s and 70s cinema horror landscape-inspired visuals, directed by Niall Trask, below! ‘Lions’ Den’ is a song about ideology and power. It asks people to observe injustices around them and engage with their desire to challenge and disrupt the systems that enforce these cruelties. The anti-capitalist agenda of ‘Lions’ Den’ immediately conjured up nature documentary footage, and the need for survival,” Niall comments. 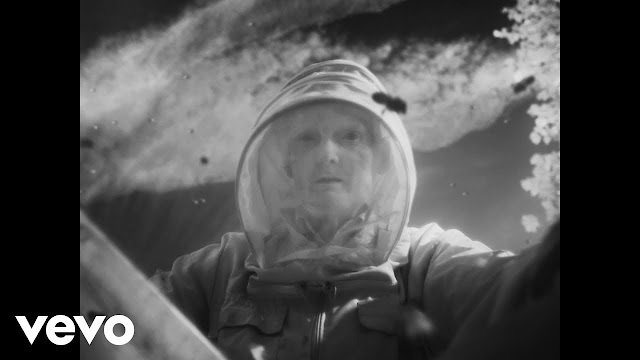 “I wanted to look at the idea of nature versus nurture, and a man-made hive of bees being harvested by humans seemed like a good place to start. This release surrounds the band’s forthcoming festival dates at the likes of Robert Smith’s Meltdown and Citadel.